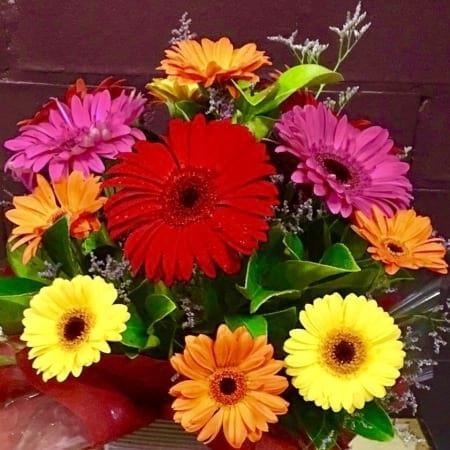 Bright and Happy Arrangement full of colourful and fun gerberas. Perfect way to say Smile, I`m Thinking of You, Happy Mother’s Day or Get Well Soon. Gerberas are a great gift for all ages from the young to the young at heart. Order flowers online before 1pm for same day delivery to all areas of Newcastle and Lake Macquarie.